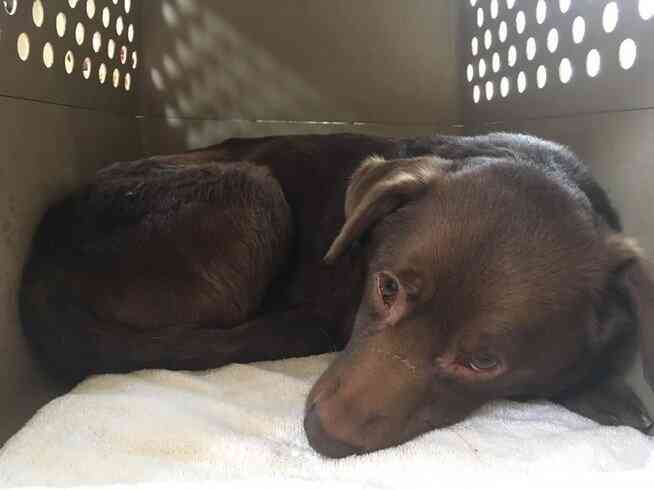 Urgent help needed for Tippy! This sweet girl is 6 year old Tippy. She has parvo and, with very expensive treatment, has been given a 50% chance of survival. Without treatment, Tippy will not survive. Currently, Tippy is being treated in the ICU and her medical bills are already in the thousands. PAW is trying to help this sweet girl live a full, happy, life, and we need your help! Can you help us save Tippy's life? Please donate & share with your friends. Tippy thanks you! Tippy was surrendered to a shelter by her people because they were moving to a place that does not allow dogs. 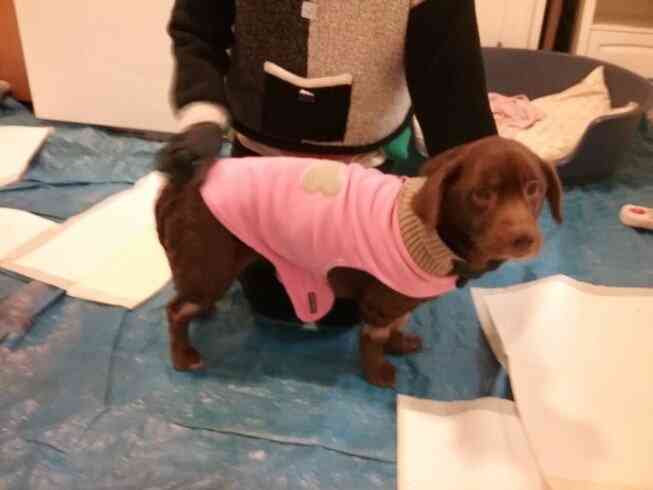 Upon arrival to PAW, Tippy began to have extremely bloody diarrhea and was rushed to the ER. The next day, she was diagnosed with parvo, a highly contagious virus that causes infectious GI illness. 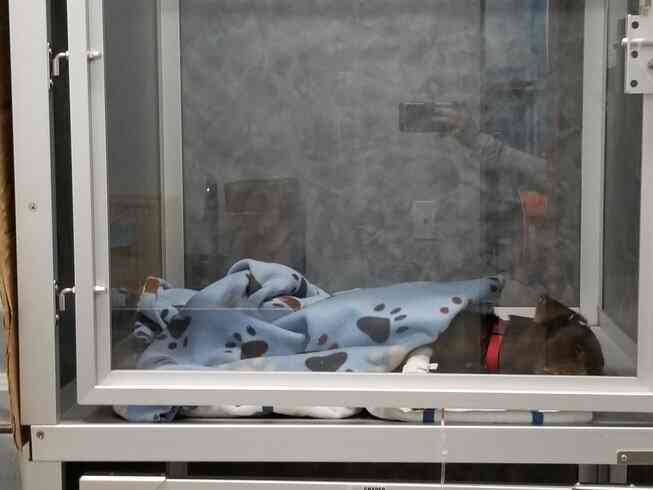 Without treatment, parvo can be deadly. The vet has told us that Tippy has a 50% chance of survival, WITH expensive medical treatment, including around the clock care in the ICU. She will be in the ICU for at least a week. Initially she was staying at an animal hospital next to our vet, but they had to evacuate their animals because they just moved offices and had a paperwork issue (that was the only detail we received), so we were told we had to move Tippy. She is now at another animal hospital, whose rates are much higher than the first hospital. So the already expensive medical treatment increased because of the move. Poor Tippy. She's had such a rough journey. 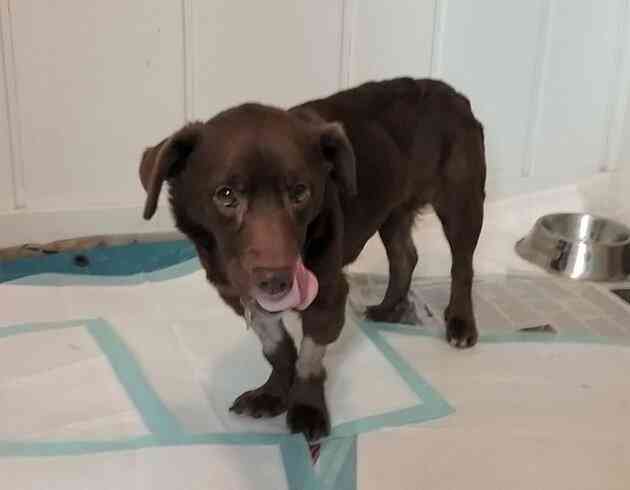 PAW would love to see this sweet girl make a full recovery and live a long and happy life with a new family, but in order to do this, we need help from you! The medical treatment will be in the thousands. Can you help save Tippy's life? Please donate today - no donation is too big or too small. And please share with your friends! Tippy Final Update: Tippy finally decided to eat normal food yesterday! She is still having uncontrollable stools but it is no longer diarrhea, so that is very positive. She was discharged yesterday afternoon and is now in the loving care of her foster mom, who says that Tippy is settling in comfortably in her new digs. She loves her new dog bed, and is enjoying the canned dog food from the vet. She even took all of her pills without complaint! See the new picture of her relaxing in her doggy bed. Way to go Tippy! We're so happy that you are out of the hospital and have made such vast improvements. We can't wait until you're 100%! 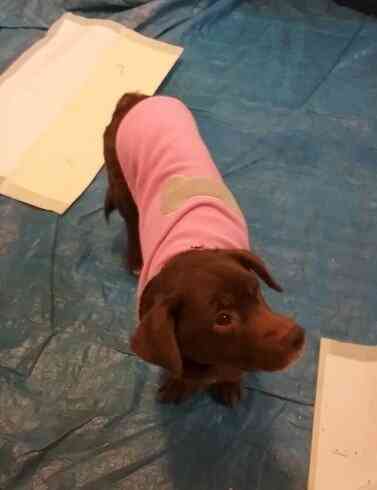 And thank you to all who donated to help with Tippy's medical costs, and for sharing with your friends! We are so grateful for all of you. Tippy Update: We've officially hit our goal! Thank you all for your generous donations and for sharing with friends. We received word this afternoon that Tippy is still not eating but she is getting nutrients through her feeding tube. She still has diarrhea but her stools were not bloody this afternoon. Blood tests do show improvement in most areas. They really want her to start eating some food, as the next big step forward. 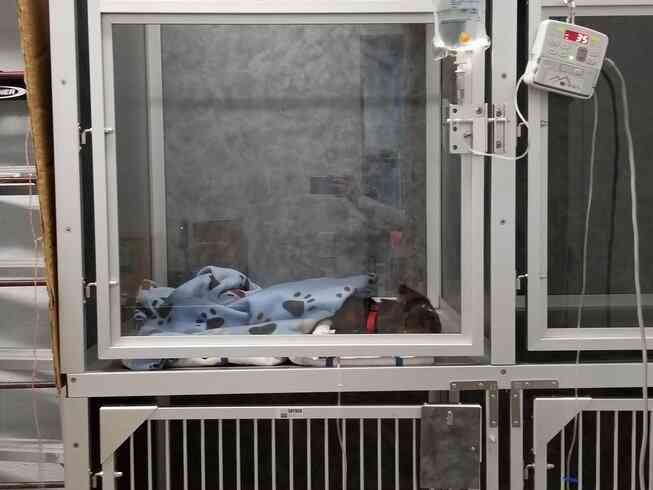 Please continue to donate and share with friends; Tippy still needs us and this is still a delicate time for her, but it seems she's getting better. Yay! Tippy Update: Good morning to all the generous donors who have continued to donate and share. We so appreciate you! We received some not so great news yesterday that the hospital where Tippy was staying had an issue and needed to evacuate all the animals, including of course Tippy. So now she is staying at another animal hospital close by, but unfortunately it is more expensive than the first hospital. They gave us an estimate of between $3-4k MORE starting yesterday, if everything went well. What a mess! So please continue to get the word out to show your support for poor Tippy; let's get her healthy and get her into a loving forever home! And if you do have the resources, please donate and ask your friends to donate as well. As we keep saying, no amount is too big or too small. Thank you from all of us at PAW! Tippy Update: Good news this morning. Staff at the hospital say she is sitting up and seems "brighter," probably because she's finally able to receive some nutrients. She has a long way to go but they are cautiously optimistic. Way to go Tippy! Thank you all for continuing to donate. We're almost at our goal (78%). Please continue to share with your friends and spread the word; we're almost there! Thank you again. Thank you all for your generous donations thus far. We're almost 75% there! Today Tippy is holding on strong and fighting for her life! We will update everyone about her health as soon as we have anything new to report. Please keep sharing with your friends and thank each and every one of you for helping us save Tippy's life! 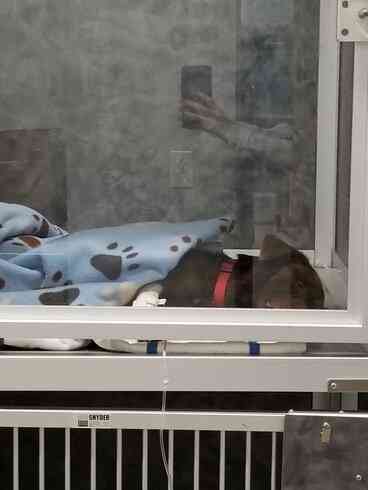 I’m helping "Partnership for Animal Welfare (PAW)" help this sweetheart get better. Please help too by donating or sharing with others. Thanks! I just made a donation to "Partnership for Animal Welfare (PAW)" to help this sweetheart get better. Please help too by donating or sharing with others. Thanks! Your generous donation goes directly to the PayPal account of Partnership for Animal Welfare (PAW), less PayPal processing fees. GivingGrid.com does not take a fee from Partnership for Animal Welfare (PAW). It's free to them.You do not need a PayPal account to donate. Please help a little more to support GivingGrid's operating expenses and keep the service free to Partnership for Animal Welfare (PAW). Why? Unlike most other services, we don't charge Partnership for Animal Welfare (PAW) any fees. It's free to them.